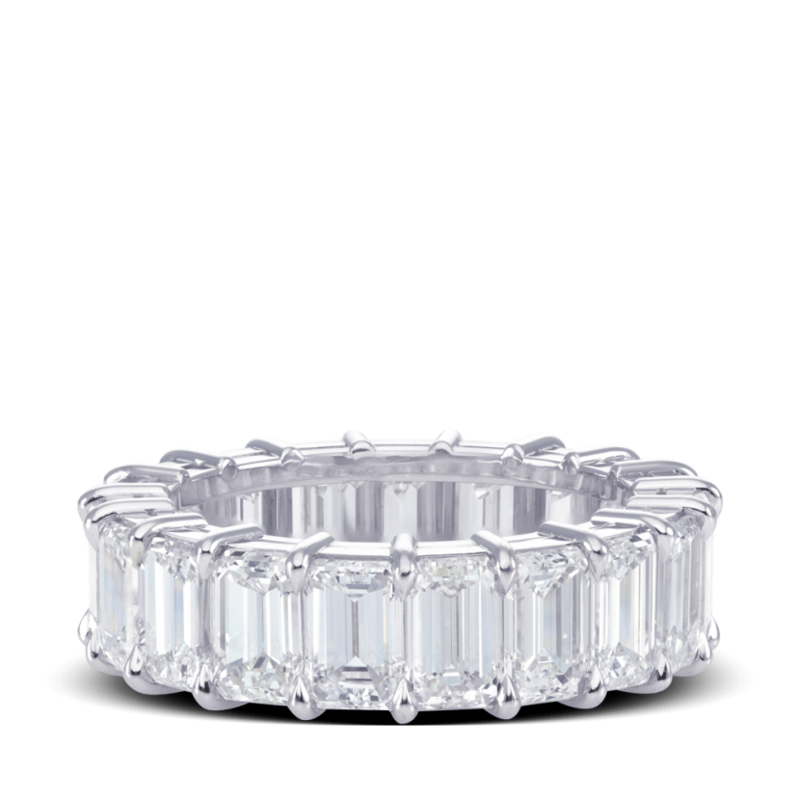 Impressive eternity emerald-cut diamond band set in a shared-prong platinum setting. An enduring emblem of commitment and love, our bench-mark wedding bands are the perfect complement to our exceptional engagement rings, or as stackable rings for any occasion. Diamond ctw varies depending on ring size. 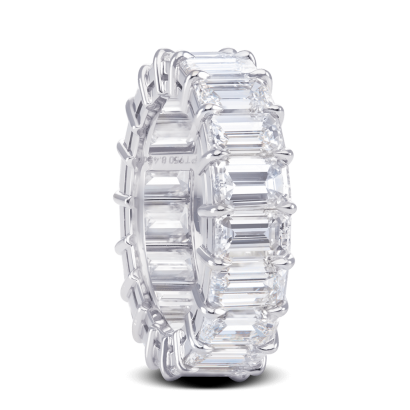 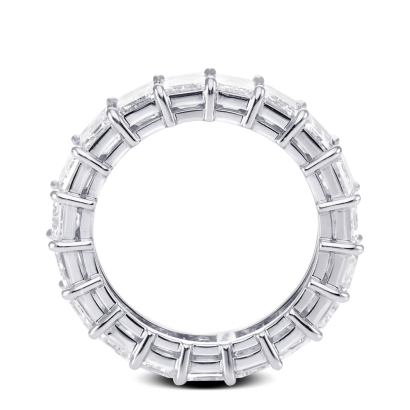 Available diamond sizes: 0.10ct – 1ct diamonds.